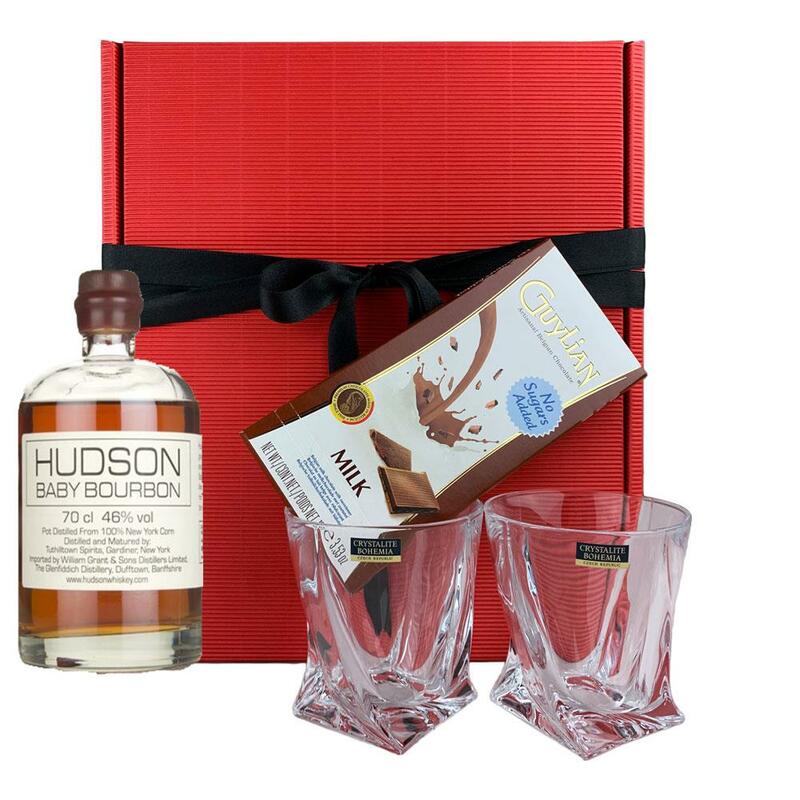 Buy this lovely Heart gift box and get and get a bottle of Hudson Baby Bourbon Whiskey 70cl all packed together with a beautiful Crystalite Bohemia Quadro Tumbler with a lovely heart box of Guylian artisanal Belgian chocolate hearts. Presented in a lovely red gift box. Tuthilltown Spirits had the honour of producing the first legal pot-still whiskey in New York since Prohibition - Hudson Baby Bourbon. Made using 100% New York corn, the Tuthilltown folks mature the spirit in tiny 2 gallon barrels and treat it to some music. This isn't simply to entertain the whiskey as it sits stoically in a warehouse, the bass speakers agitate the cask and liquid, impacting the flavour. This is a 70cl bottling.